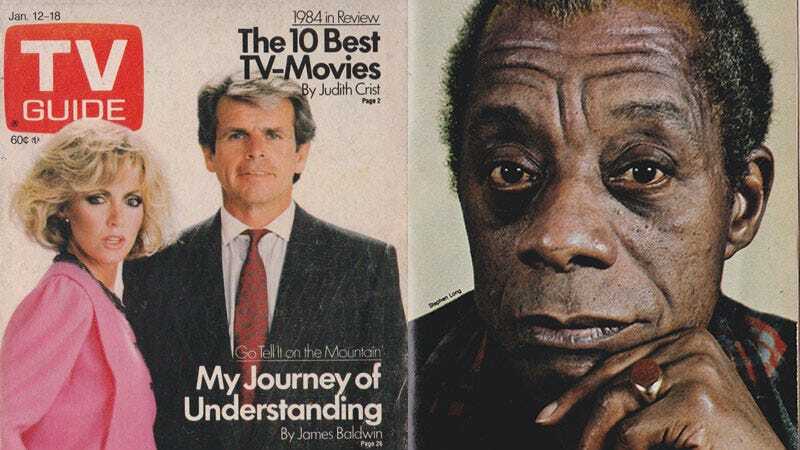 Did You Know James Baldwin Once Wrote an Essay for TV Guide? A few months ago, Kelly walked into the office and handed me a stack of old TV Guides from 1985, hopeful that I’d find something worth writing about inside them. As I’d expected, its ads were the most immediately amusing parts. Not long ago—before everyone had thousands of on-demand entertainment options at their disposal—you chose between a handful of networks who competed with each other, in part, by placing ads in The Guide. Would you watch Jessica’s “night at the theatre” on Murder, She Wrote, or the nuclear war-themed TV movie Threads? Sins of the Father or Gulag? Charles in Charge or Highway to Heaven? On Monday, January 14, 1985, you had a very special option—the American Playhouse adaptation of James Baldwin’s novel, Go Tell It On the Mountain. But in addition to the small quarter-page ad for its premiere, TV Guide provided an extra bit of promotion in the form of a short essay by Baldwin about writing the novel and adapting it for television. “People who can’t get along with each other can’t bear, simply, what they see in each other. Each, in truth, is paralyzed before a mirror. One can be released from this stasis only by confession. My Daddy didn’t live to articulate his confession. You won’t find those in an essay collection. You’ll find them in the Jan. 12-18 1985 issue of TV Guide—the one with William Devane on the cover. David Sendler, TV Guide’s National Editor at the time Baldwin’s essay was published, resigned in 1989, after Rupert Murdoch bought the magazine and made a “dramatic change” in its direction. Publicly, Murdoch had made assurances that he would not change TV Guide when he bought it and parent Triangle Publications last November for $3 billion. But on the day he took over, according to insiders, Murdoch privately told management that he thought TV Guide was “too cerebral” and set out to change that.